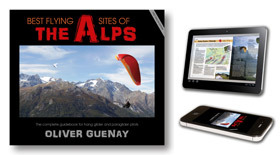 The digital edition is a ZIP file containing both the PDF and EPUB versions of the book. What's the PDF good for? It's designed for your PC or laptop (large screen), for quick planning and easy reference when travelling. 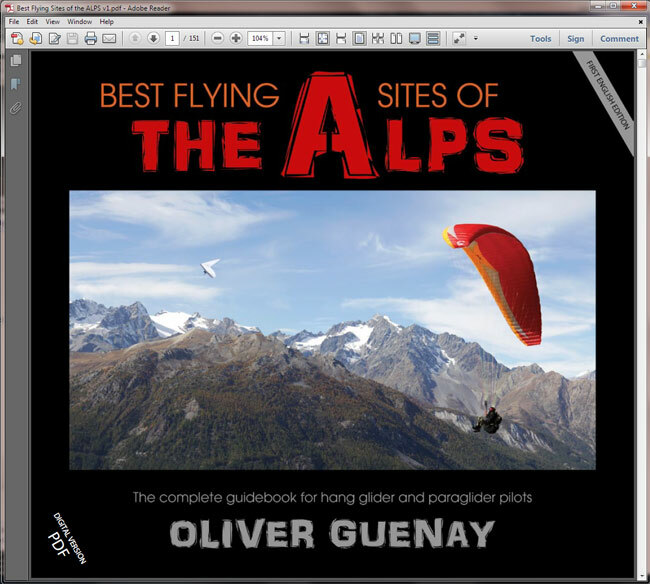 You're welcome to print out a few pages for your own personal use, but you'll find the complete printed book presents the Alps in the best way, because it features high-quality images on art paper, stitched binding, a hard cover and a luxurious feel. This PDF is best viewed with Adobe Reader because it shows the hyperlinks to all the websites (just hover your mouse over any website name). You can also use the Bookmarks (left menu) to navigate, and Search for any text item! 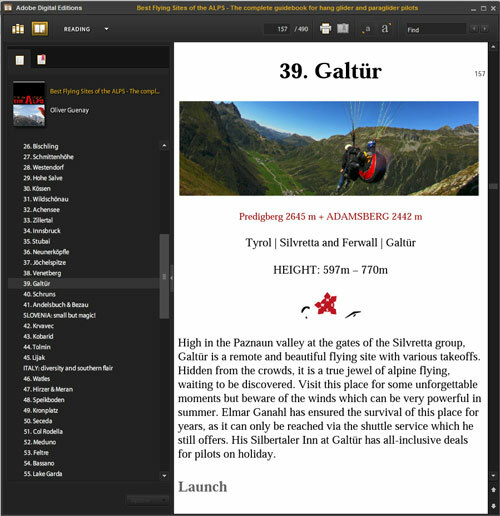 The ePUB is a stripped down weightless version for your phone or mobile device (best for small screens). It will work on your iPhone, iPad, Tablet, eReader or Android phone. 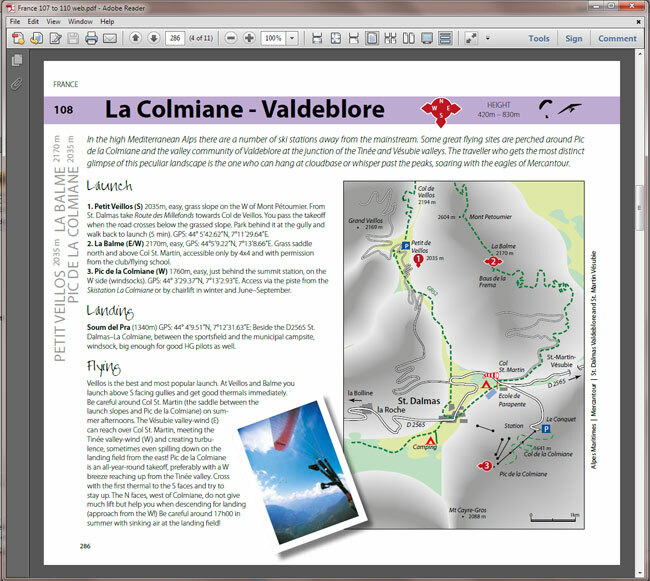 You can also view it on your PC with Adobe Digital Editions (a free program). It is for quick reference when travelling. It doesn't have all the big pictures of the printed book, just the info, with a simple navigation system to jump to a site. We know you have to carry a great big bag when you go to the Alps, so this way you have the information on hand on the mountain. Where was that alternative launch site again? Who was the taxi driver that does the shuttle service? What else can we do in this area? It's all there, on your phone. 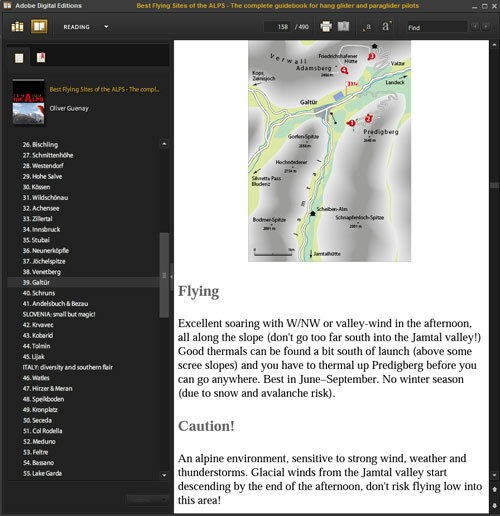 Most pilots get the Deluxe Edition, which contains both the printed book and the ebook. You save £5 with this package deal.